Return Engagement is Junior Welfare League's consignment store for new and nearly-new clothing and gifts. We have grown from a furniture mart to an upscale clothing and gift store. All items are in good to exceptional condition. We carry women, men, children and baby clothing, shoes and accessories, as well as specialty home decor, books, furniture, electronics and many other household items. 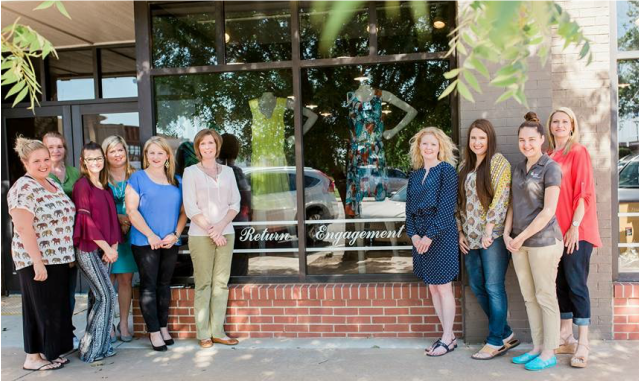 All proceeds raised through our consignment store are invested back into our community programs and enriching the community of Enid. We do accept donations from the public and are happy to give you a tax credit form for your donations.